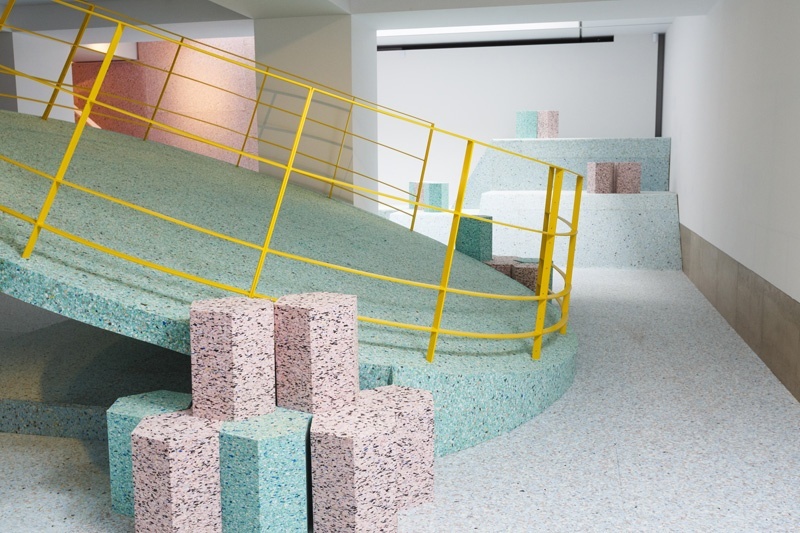 Assemble worked in collaboration with artist Simon Terrill to create the Brutalist Playground: an immersive installation that recreated a trio of post-war play structures out of foam. 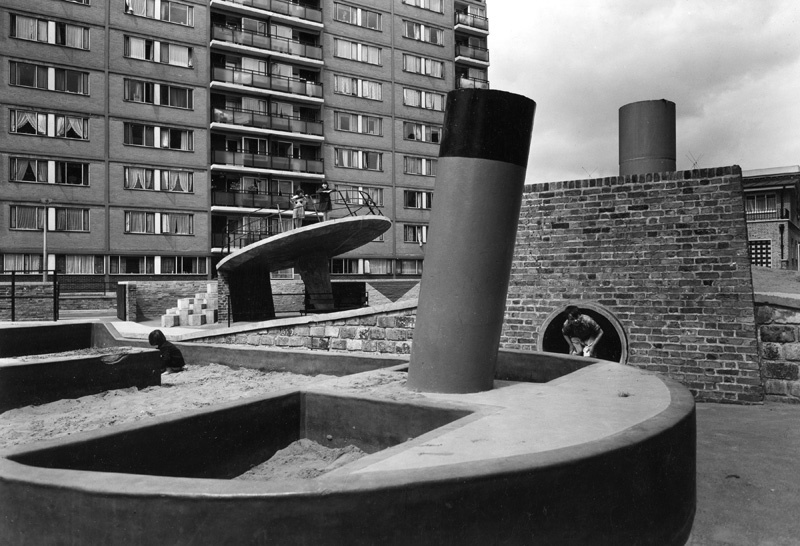 Designed for the Architecture Gallery at the RIBA, the Brutalist Playground consisted of full size fragments of three distinctive London housing estates: Churchill Gardens in Pimlico, the Brownfield Estate in Poplar, and the Brunel Estate in Paddington. 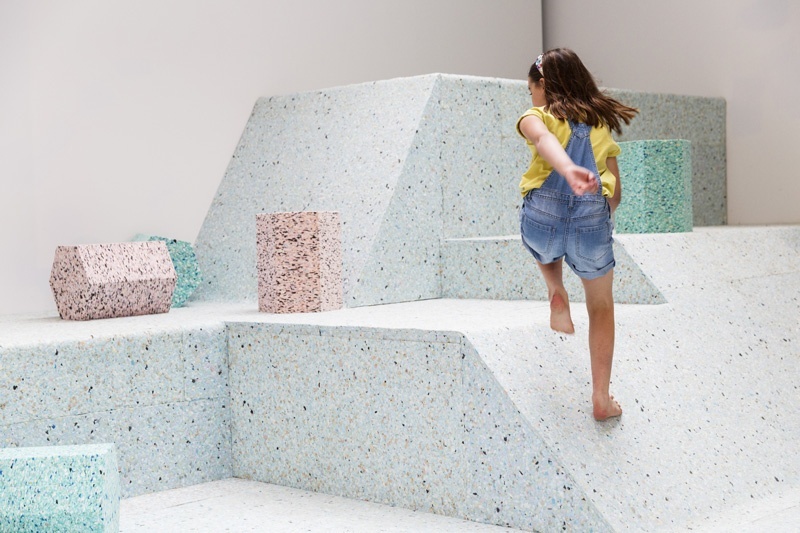 Assemble recast these concrete and steel playground structures in reconstituted foam in order to allow people to consider their formal characteristics separately from their materiality, and in doing so allow them to be reappraised as places for play. To compliment the installation, Simon Terrill created a film composed from images of the estates from the RIBA’s archive. 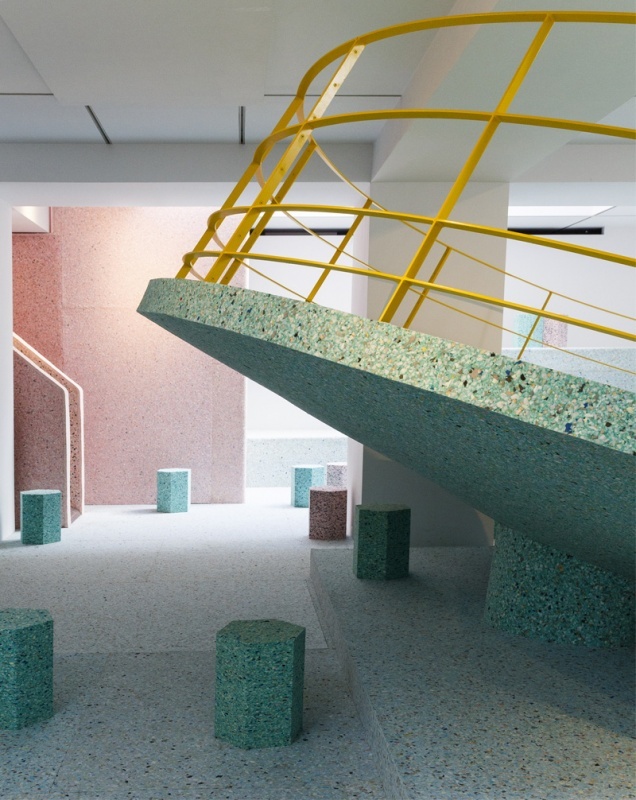 The RIBA also used the exhibition as a forum for a programme of workshops, events and debates on brutalist architecture, play and the city.